A high-growth tech brand shifts its corporate strategy. A brand story turns a platform into a launching pad. 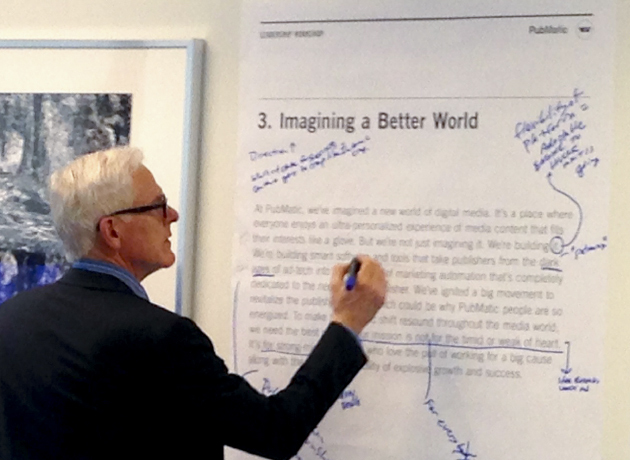 PubMatic is dedicated to the success of the publishing industry. 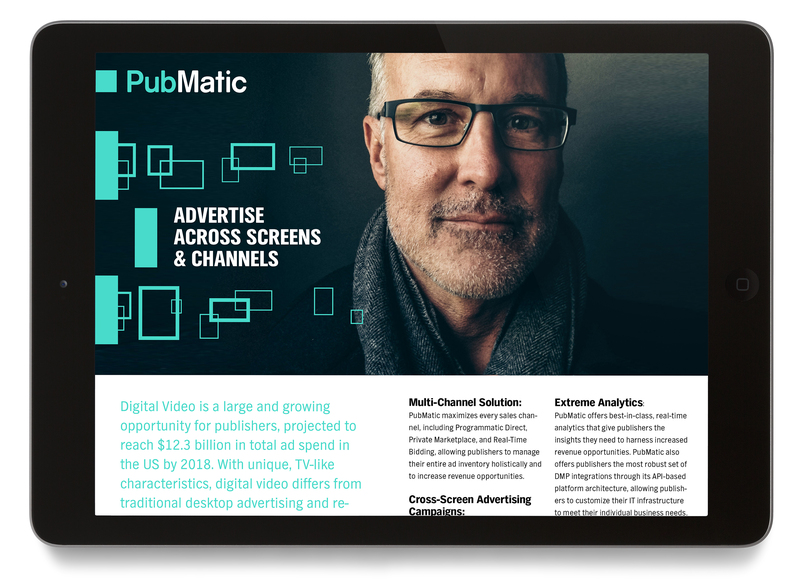 As digital publishers struggle to keep up with ever-evolving technology and stay relevant, PubMatic helps publishers create more meaningful connections. 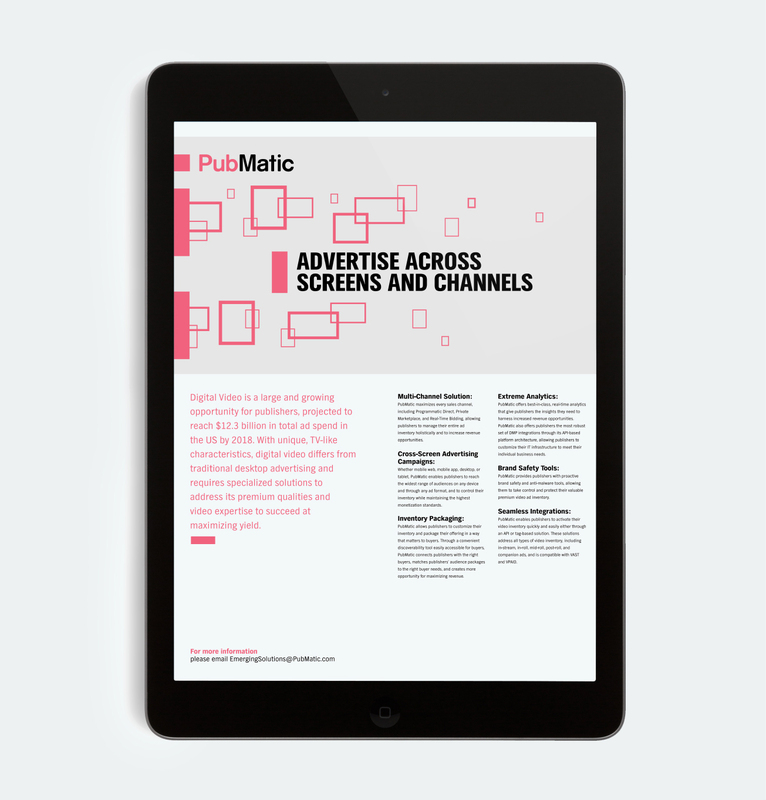 Armed with a strong mission, PubMatic was looking to reposition itself from away from ad-tech to a marketing automation platform that truly stands apart as the shining star of digital advertising. 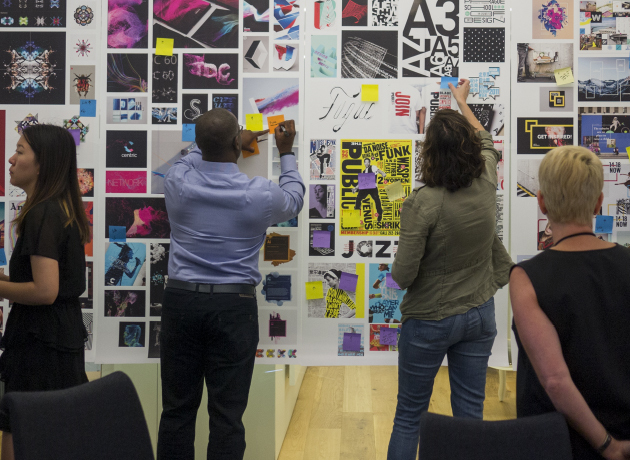 They needed an emotive brand strategy that would address this shift, align the company’s global leadership and attract and retain top talent in a hyper-competitive market. 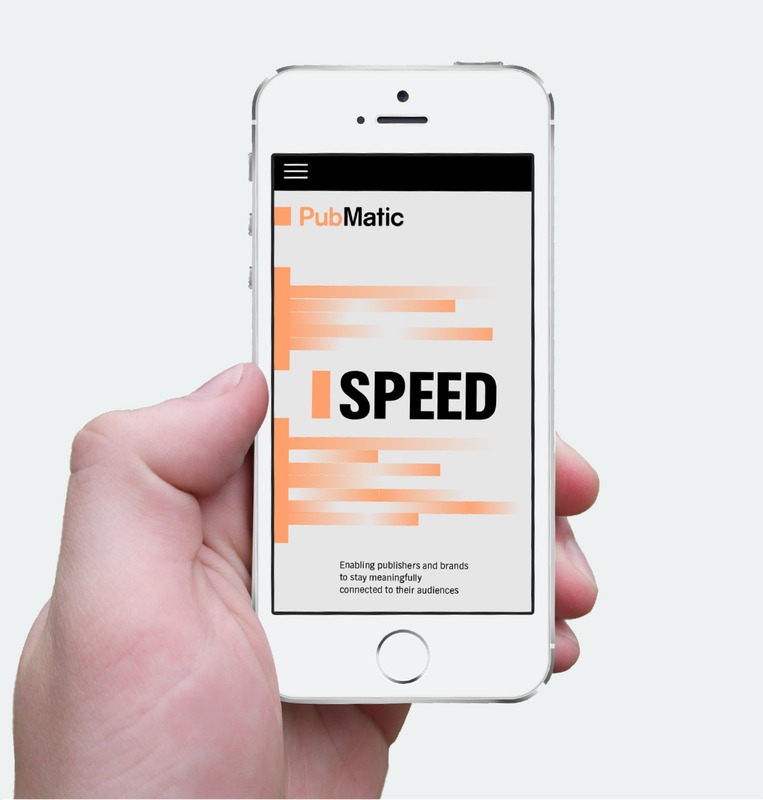 In marketing technology, brand survival depends on holding pace with a rapidly changing industry so PubMatic’s strategy needed an agile approach that’s able to flex as the company grows. Communicating why this company matters meant shifting PubMatic away from a product-based message to a more human, relatable brand story. 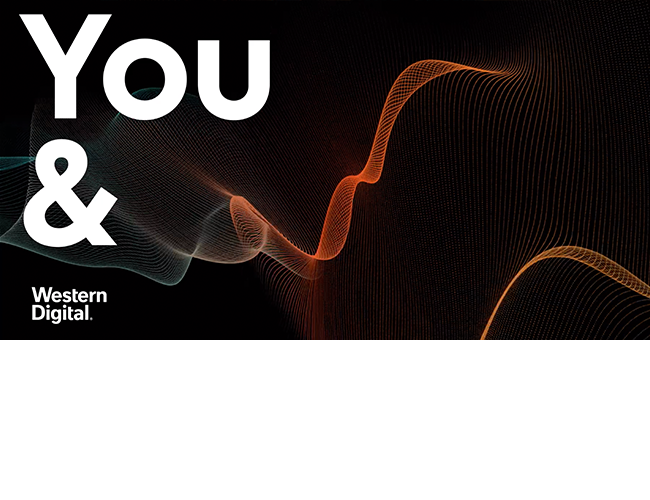 As part of this evolution, we developed a brand narrative, a corporate visual identity, and an employer brand. The strategy worked. 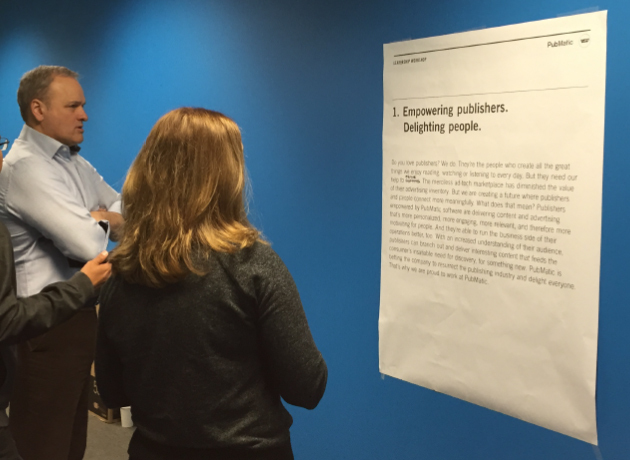 Employees are proud and publishers are thriving. 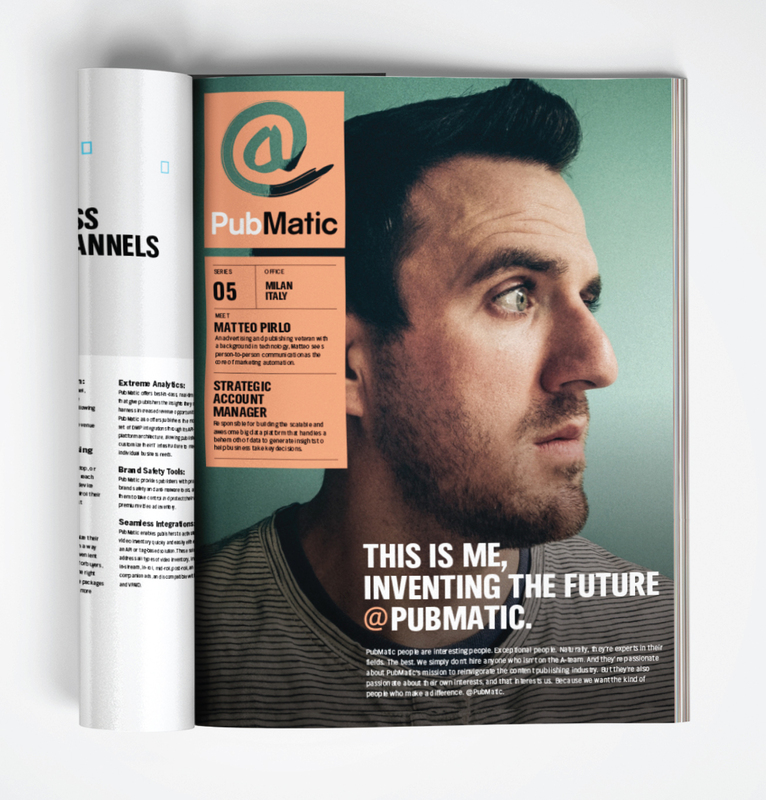 The future for publishing is here and PubMatic is ready. Purposeful leaders create purposeful brands. C-suite engagement makes a winning brand strategy. Brands on the cusp of big change need a great strategy, stat. 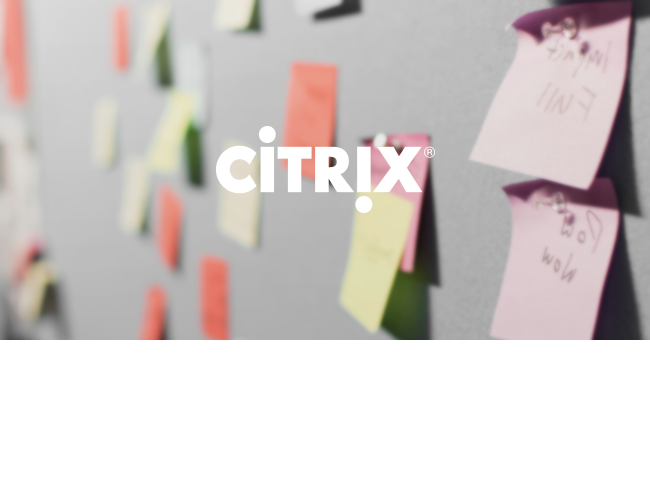 When clients at the C-level are dedicated to participating in the entire process, from kickoff to guidelines, we can deliver a strategy that is consistent and authentic without skipping a beat. Know the internal limitations and resources for change. Falling in love with something out of reach is never a good idea. And changing a brand’s look, especially a global brand, may come with an impractical price tag. Assessing budget limitations at the beginning of the brand strategy engagement will prevent making a commitment that can’t be executed. 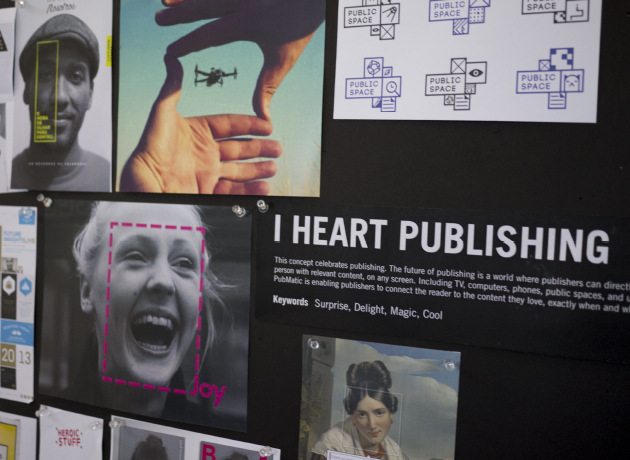 Publishing connects brands and people with meaningful experiences. 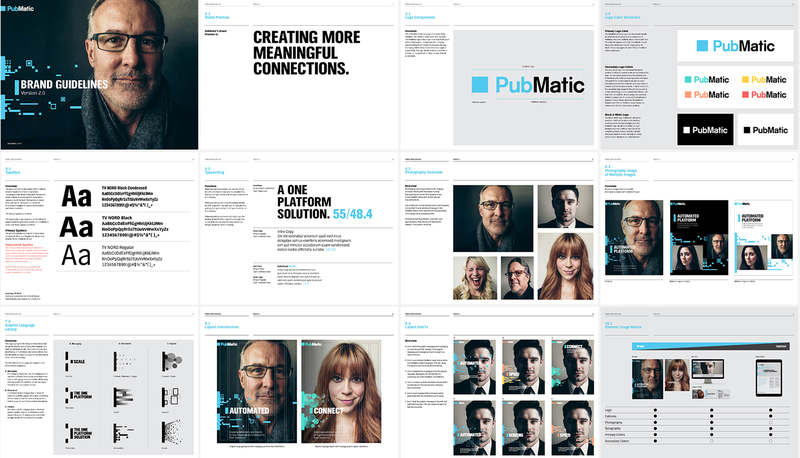 PubMatic’s visual identity explores the power of PubMatic’s platform by showing the ideation of content, the automation of its technology, and the engagement of the people, brands, and publishers it enables. PubMatic’s logo incorporates a graphic device as a representation of the streamlined offering of the One Platform. It’s simplicity stands out it within the crowded industry landscape. 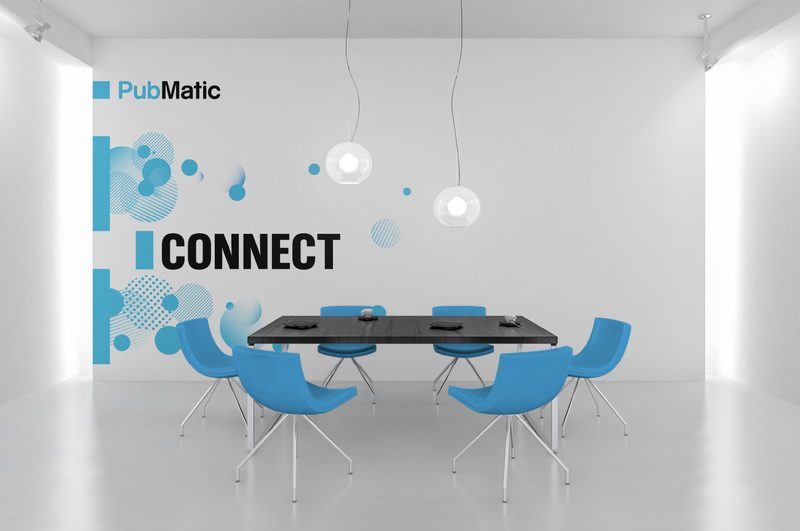 The graphic language represents the connections that PubMatic’s One Platform enables. 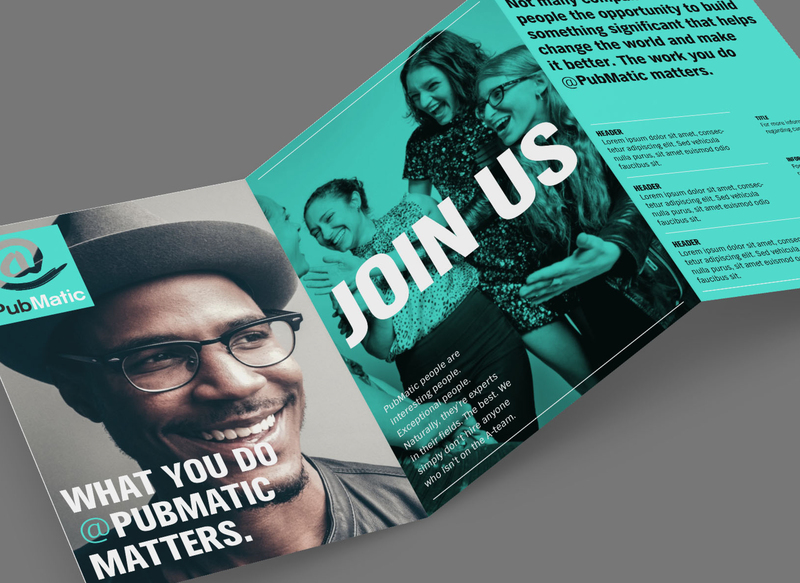 The new visual identity for PubMatic’s employer brand works together side by side with the corporate brand. 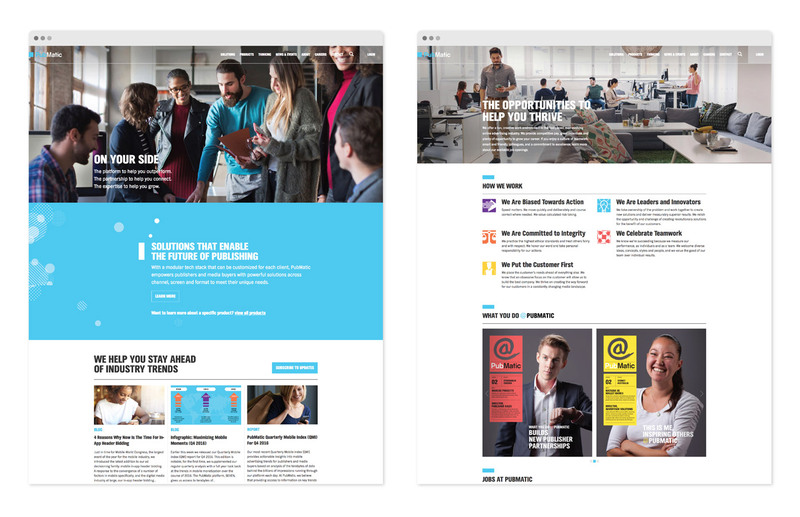 The look and feel reinforces the brand promise of exceptional people driven to build a future where publishers delight all people with content they love. Tell a story that everyone can stand behind. A compelling corporate narrative helps employees be consistent and motivates them to rally behind their brand. 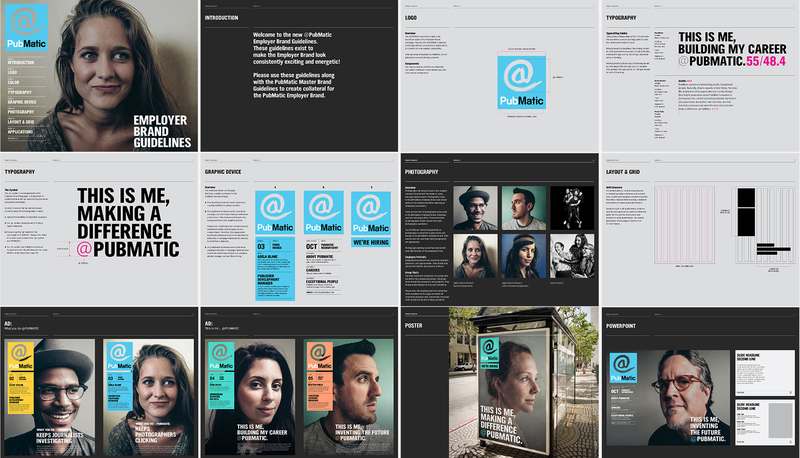 We developed a multi-purpose narrative that everyone at PubMatic can use to tell the brand story with clarity and pride. Use visual identity to simplify a complex story. Complex technology needs a simple way to explain its offering. PubMatic’s visual identity does this through powerful graphic language that communicates their unique offering and reaches more people without depending on industry jargon. 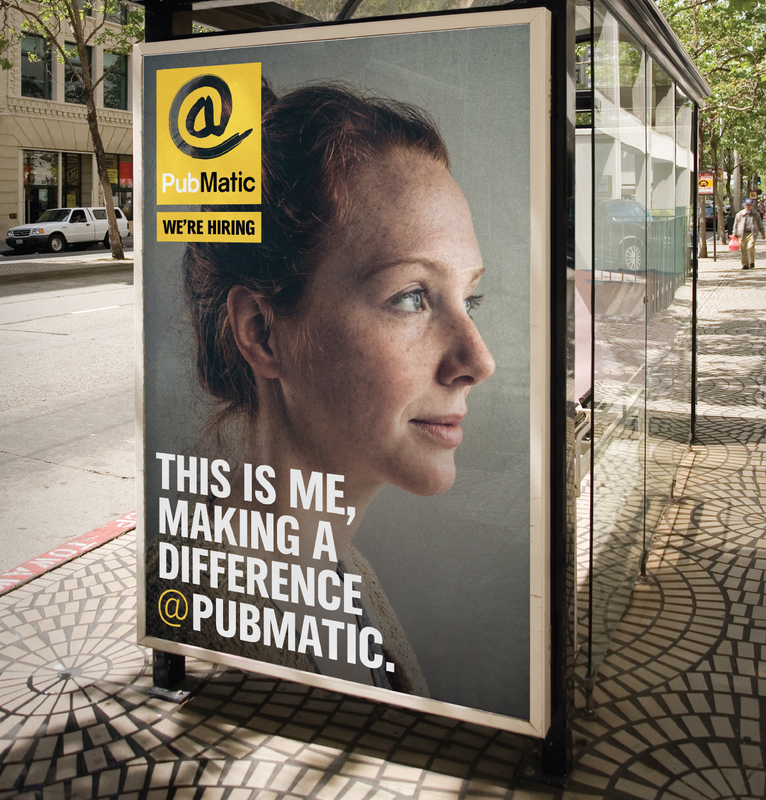 Our brand strategy took an empathetic approach to differentiate PubMatic as a brand dedicated to publishers and the publishing industry. By truly understanding and relating to publishers, we were better able to develop a brand that supports their needs. Find an executive champion to partner with. Effective brand strategy needs an internal advocate to own the work from start to finish. 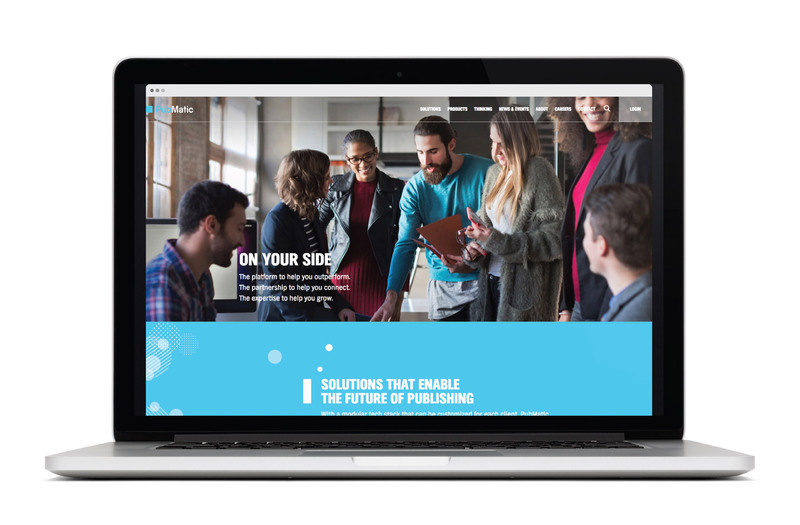 We engaged the entire C-suite, but relied on the vision and direction of one brand champion to push PubMatic through some major hurdles and keep everything on track and on budget.